AGENT GREEN hasn't added a story. Incepand cu 1 ianuarie, Romania va detine presedintia UE timp de 6 luni. Agent Green va atrage atentia tuturor politicienilor si presei care va vizita Romania din ianuarie pana in iunie in legatura taierile ilegale de paduri. Agent Green nu va lua pauza de Sarbatori ca sa iti poata apara dreptul la aer curat. Ne pregatim sa intampinam cei mai mari factori de decizie din UE si mass-media, sa tragem semnalul de alarma pentru a schimba, macar in al 12-lea ceas destinul ultimelor paduri virgine din Europa. Prin donatia ta vom putea plasa panouri uriase in aeroport si in alte locuri cheie din Romania, vom produce o expozitie foto mobila, care sa urmareasca evenimentele la care participa oficialii europeni, si vom distribui zeci de mii de stickere care simbolizeaza dragostea pentru paduri. prin denunturi repetate pentru taieri ilegale am determinat autoritatile de control – Politia, Garda de mediu, Garda forestiera, Anaf si Justitia – sa treaca la actiune. Denunturile s-au lasat cu amenzi cumulate de milioane de lei, dosare penale si incarcerarea celor vinovati. Doar 1% din suprafata Romaniei este protejata in parcuri nationale, dar in ultimii ani s-a legalizat exploatarea a jumatate din aceste suprafete/ Doar 10% din ultimele paduri virgine sunt protejate.Guvernul tergiverseaza protejarea restului de 90% si le scoate planificat la exploatare chiar si pe acestea. Odata taiata, o padure virgina s-a pierdut pentru totdeauna. IMPLICA-TE ACUUM! FII PARTE DINTRE CEI CARE AU LASAT CEVA IN URMA PENTRU GENERATIILE VIITOARE! The forests of Romanian are home to the largest last tracts of virgin forests left in Europe. However, these forests are being logged and lost before our eyes and hardly anybody knows about it. Teams from EuroNatur and Agent Green joined foreces to start the SaveParadiseForests campaign to change the the bad course. The Romanian government will take over the EU presidency for 6 months. We want to put a spotlight on the plight of these forests from the moment Romanian hosts the presidency and we need your help to do so. We will not stop working to protect these forests over the holidays. With your help, we will place giant billboards in Romanian airports and in public spaces, produce a large travelling photographic exhibition and print forest stickers to distribute across Europe.We need to get the word out. Giant Billboards. We will place these in Romania’s airports and in highly public places in Romania.The EU presidency brings a focus to Romania and many representatives from EU member states will visits for different meetings. W e are calling on the EU and the Romanian government to uphold the law to protect nature in Romania. These billboards will amplify our message. Travelling photographic exhibition. We will produce huge images to tell the story of the beauty of and tragedy in Romania’s forests. These will travel around Romania and be placed outside all EU council meetings and invite people to learn about what’s happening in Romania’s forests and what they can do to help save them. Save Romania’s Forests Stickers to show solidarity. Hardly anybody knows about the logging and loss of Romania’s virgin and old-growth forests. 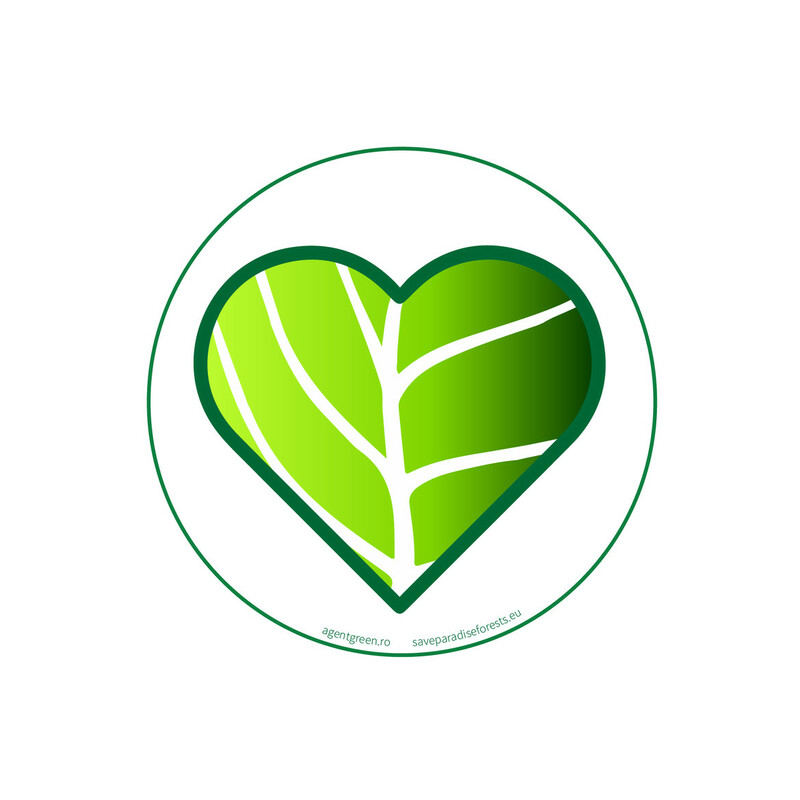 We will print and distribute stickers across Europe so people can proudly show their support for Romania’s forests - on their laptop, on their car, in the window of their shop or anywhere else. We need to get the message out there. Time is of the essence. Romania will host the EU presidency until June 2019. 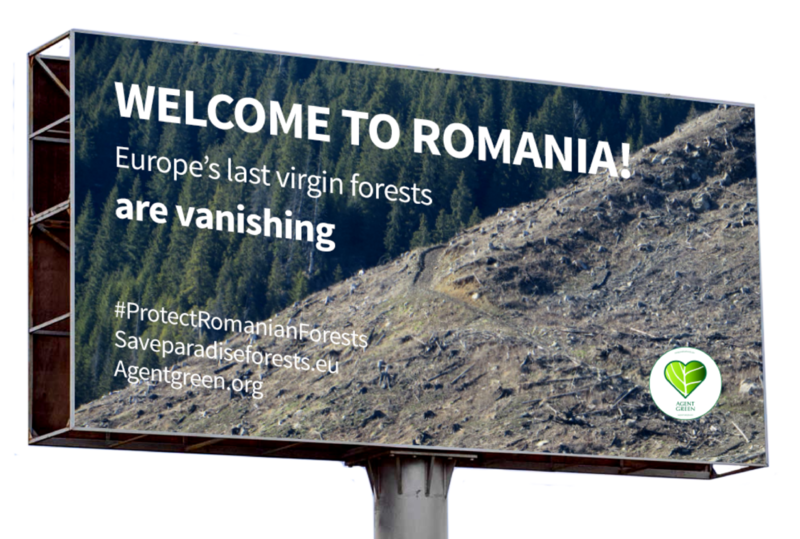 Please join us now and donate to protect Romania’s disappearing virgin forests. 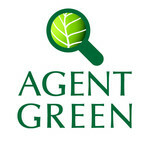 AGENT GREEN hasn't posted any updates yet. AGENT GREEN is managing the funds for this campaign.